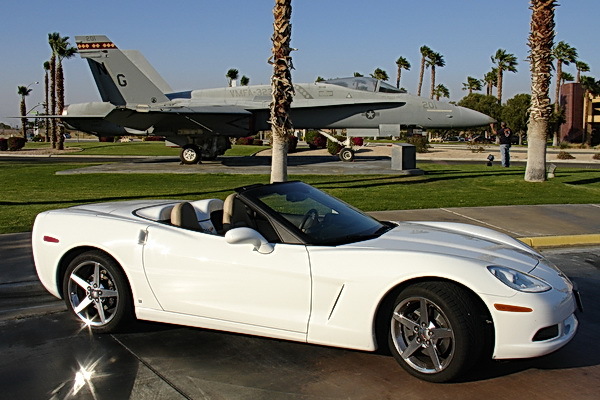 So I got in the new 2008 Corvette Convertible, not really convinced I was going to be terribly impressed. Yes my car had some cool features, like keyless access with push-button start, which started the engine with a nice deep growl. But as I first sat in the car I started thinking about reasons to justify my slightly negative bias. And sure enough, I found them. The interior looked somewhat cheap, the car felt too wide, the humps over the two front tires seemed too high, and the ride felt rather heavy when you start driving. But over the next 2 days of driving something really unexpected happened. I became a true fan. 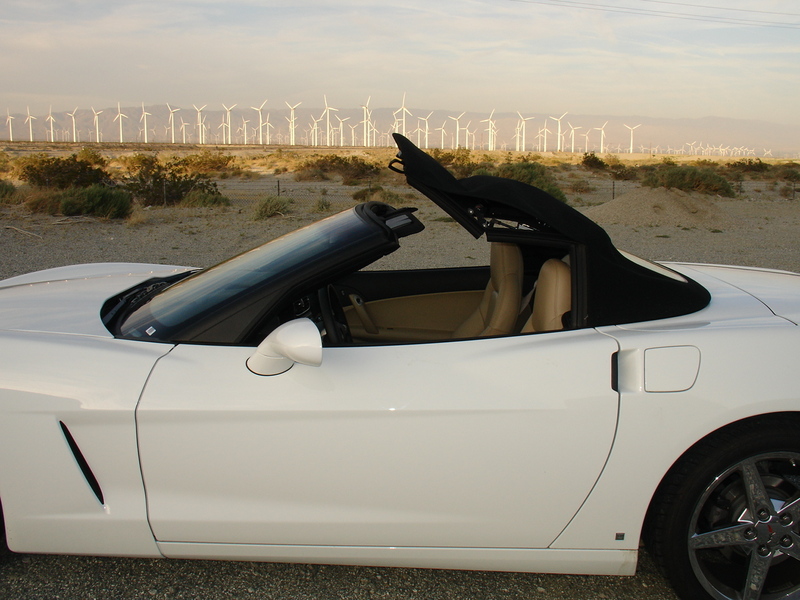 I drove the car from Los Angeles to Palm Springs, California. 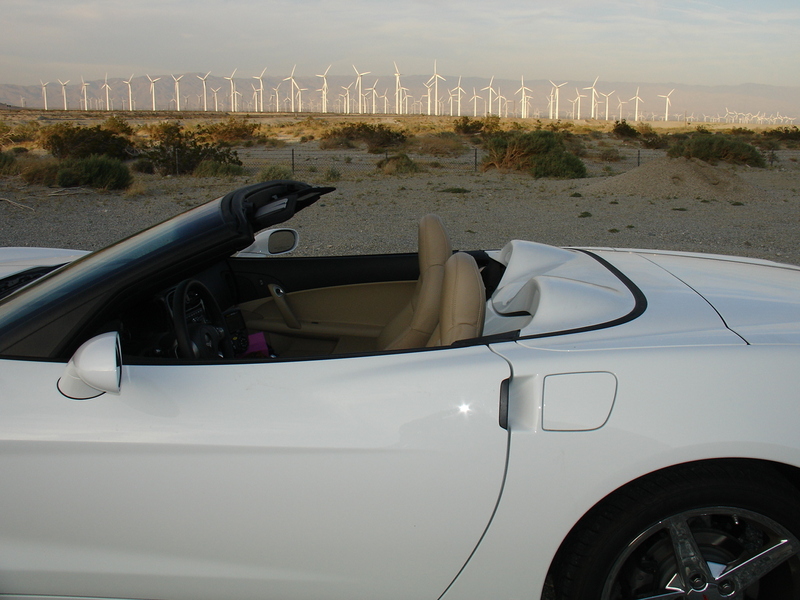 It’s a 2 ½ hour ride which starts out really unpleasant, going through L.A.’s bumper to bumper traffic, poor road conditions on highway I-10, and not the most beautiful scenery – passing through industrial zone after zone and mobile home sales lot after lot, all the while driving next to freight trains. Not what I had imagined. 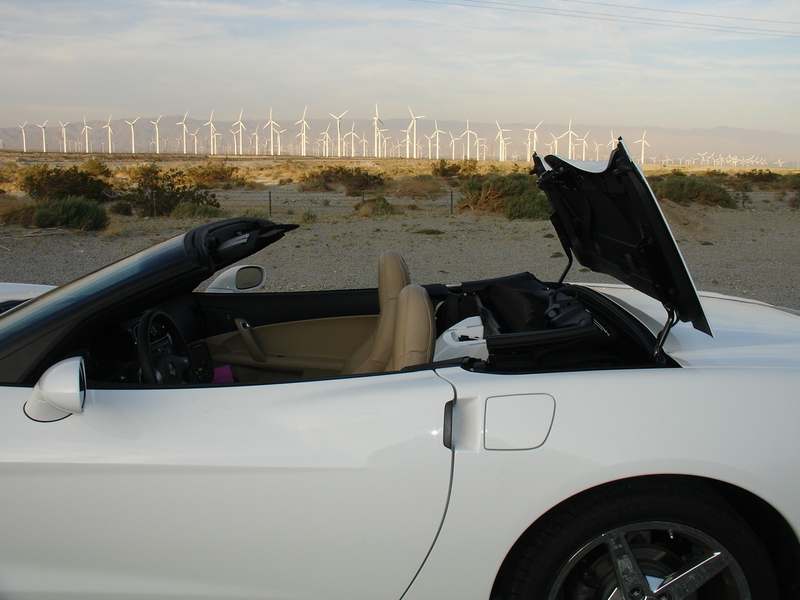 But once you get closer to the desert the scenery changes, especially when reaching the hundreds of wind propeller machines close to Palm Springs [apparently the entire electrical power of Palm Springs area is generated by wind power, but that’s another story.] Very dramatic. Scenery and road conditions aside, my initial negative bias flew out the window. I could not say enough about the pleasant driving experience with this car. The Corvette is extremely powerful. When you start driving, the car does feel a bit heavy. But then later on you realize why. A slight touch on the accelerator and you are almost flying. Yet the car handles very tightly. If it was any lighter, you would probably spin out of control. Although the RPM gauge goes to 7,000, I only once could get it over 4,000 – the car would just go so fast that I had to take my foot off the accelerator immediately. On the highway, it performed beautifully. A prancer when you need to speed up, extremely nimble when changing lanes, super tight in curves, and just overall excellent handling. Initially there is a bit of understeer feel with the steering wheel, but you soon get used to it. In town and in traffic, the car is gentle and subtle, with a very smooth feel. Yet power and agility is immediately there when you need it. 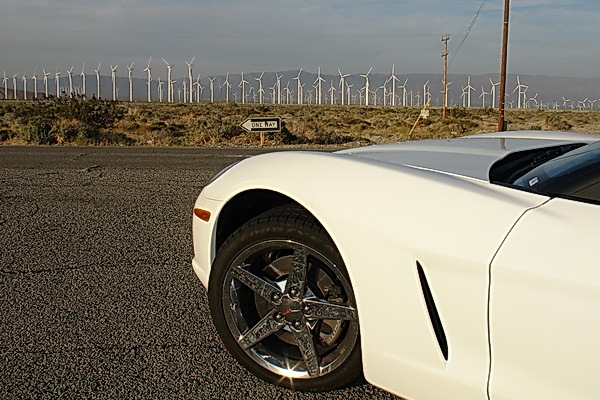 The Corvette was a delight to drive. 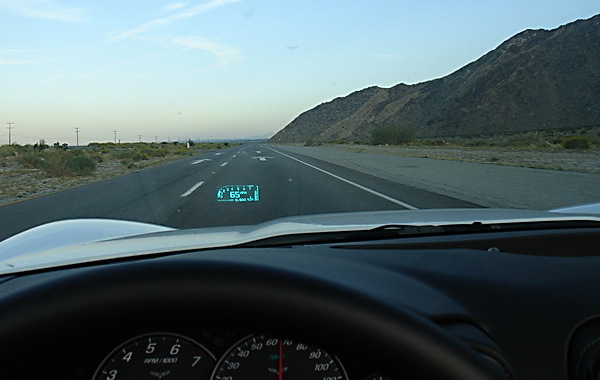 The one thing that quickly jumps out at you is what the Corvette instruction manual calls the Head-Up Display (or “HUD”). This is a reflection display on the driver side windshield of some key metrics, like speed, RPM, and interestingly a curious number with a “G” at the end. It turns out that’s the “G-force”, as in gravity force. Supposedly, in heavy twists and turns and fast speeds, you need to know your G-factor, right? Every time I looked mine was 0.00 G. Oh well, I guess I didn’t twist and turn hard enough. But the curious G factor aside, the HUD display is surprisingly effective. 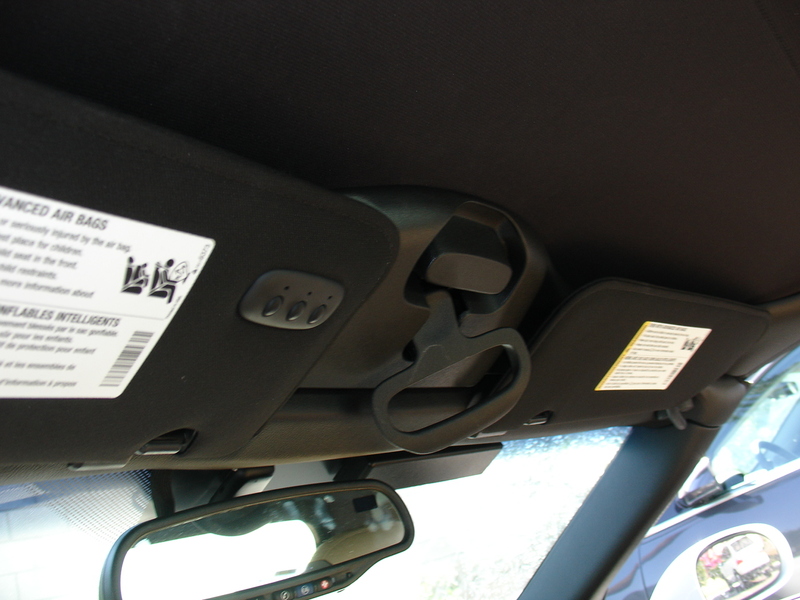 It’s placement on the windshield is just right – not too high to be annoyingly obstructive, not too low to be missed. And it shows very well even in bright sunlight. Some technological feat. It also switches to display other stuff like changing radio channels and selected gear in manual paddle shift mode (more on that below). 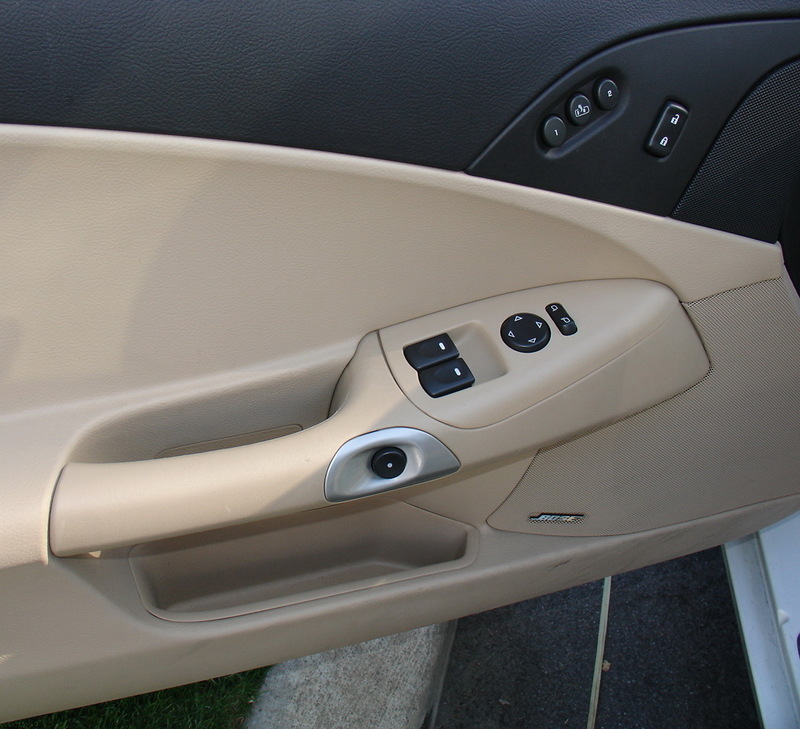 Another really cool feature is there are no door handles on this car – neither outside nor in. To open the door from the outside you need to stick your hand behind the opening on the side of the door, where you ordinarily would have expected there to be a handle to pull. Once the car senses the keys on you (i.e. in your pocket), it electronically releases the door open (no pulling of door handle). Although the paddle shifts are cool, and give the Corvette that extra supercar driving feel, I was not entirely happy with the way they functioned. 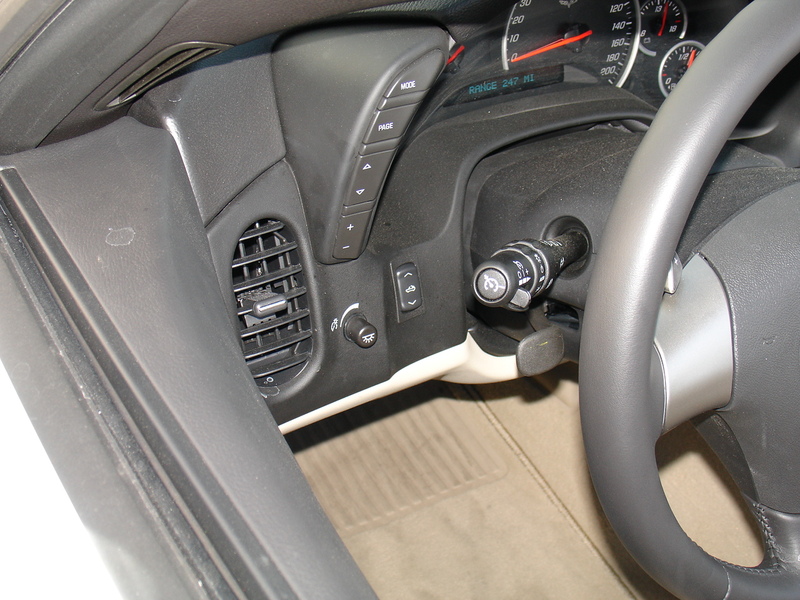 On the Corvette, pressing the triangular shaped tab on the front of the steering with the “+” sign shifts to higher gear; to shift down you pull the paddle on the back of steering wheel towards you. The tab/paddle combo on the left and right sides of the steering wheel both do the exact same thing. Which is rather odd and different than other cars I have driven with this feature. On those, one side of the steering shifts up while the other shifts down. Perhaps a creature of habit, I had a hard time getting used to the Corvette way for paddle shifting up and down. I found myself pulling the paddle, which went into lower gear, when actually I wanted to shift to a higher gear. Separately, I felt a slight delay between pressing the “+” tab and the car actually shifting to a higher gear. As much as I appreciated the idea of driving in the paddle shift mode, I kept switching back to automatic mode (D) to let the car do the shifting. 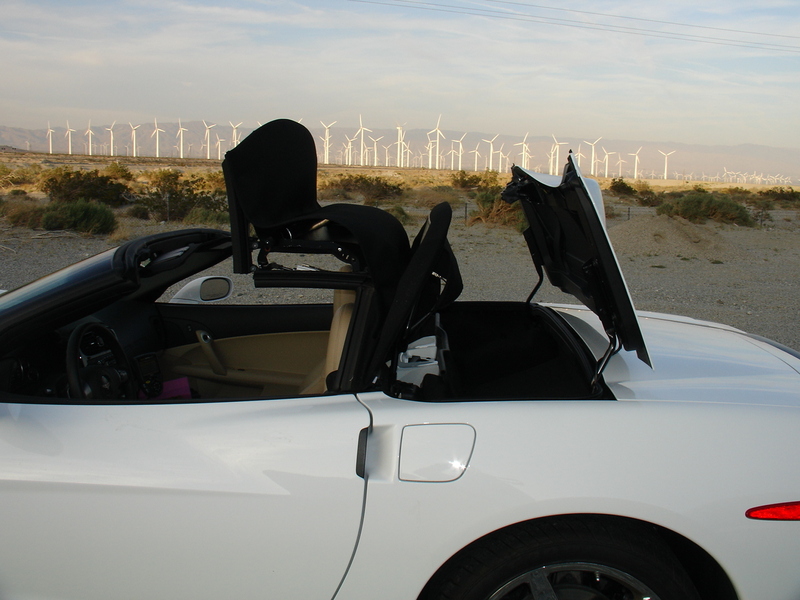 Operating the convertible top was a cinch. It was intuitive (no instruction manual needed on this one) and quick. The car has to be in Park before you can open the top. You first need to twist the handle under the roof and push up the roof slightly (if you don’t, the message indicator on the instrument cluster tells you so – more on that below). Then press a button on the left side of the steering wheel. 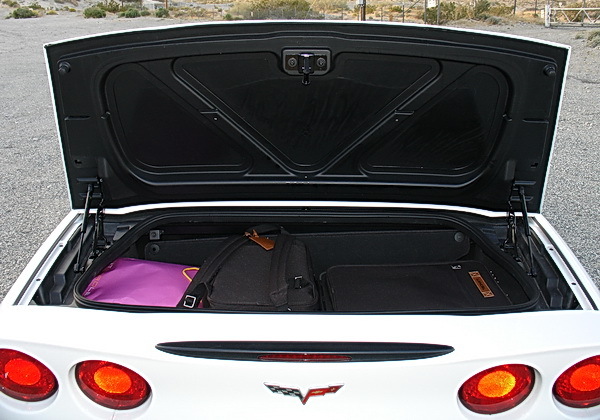 While many convertible cars take up at least half, if not most, of the trunk, I thought the Corvette Convertible did a very good job with trunk space. 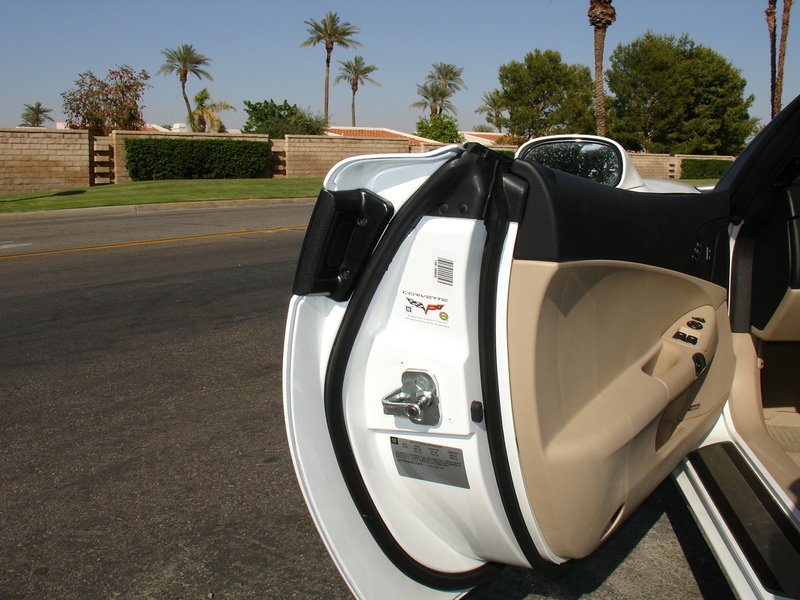 The trunk has a separator between where the opened convertible top would fit and the actual space for luggage, etc. The trunk could fit a roll-away bag, a carry-on computer bag or back-pack, plus additional room for a few shopping bags. The trunk space seemed adequate for a week-end getaway for two (of course depending on how much clothes you take), plus extra room to do some shopping. 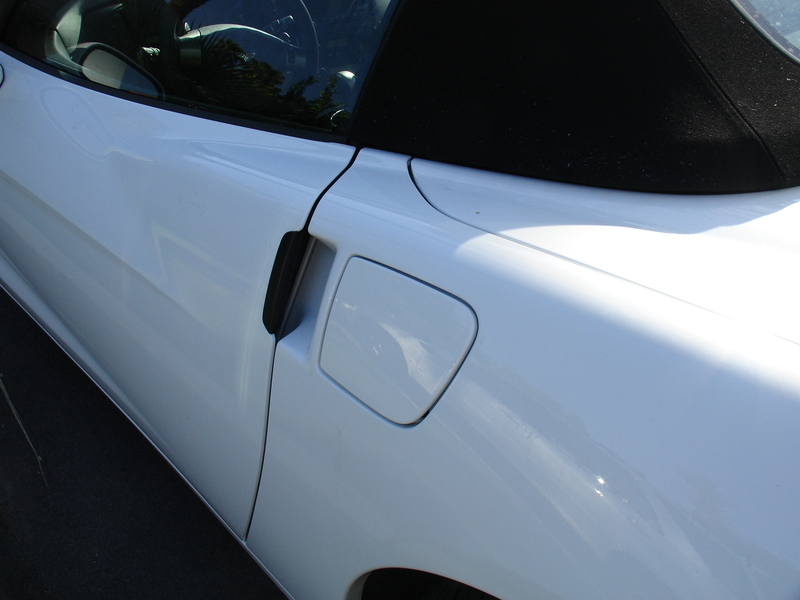 Additionally, the trunk lid pops open easily with a press of a button on the keyless ‘keys’. 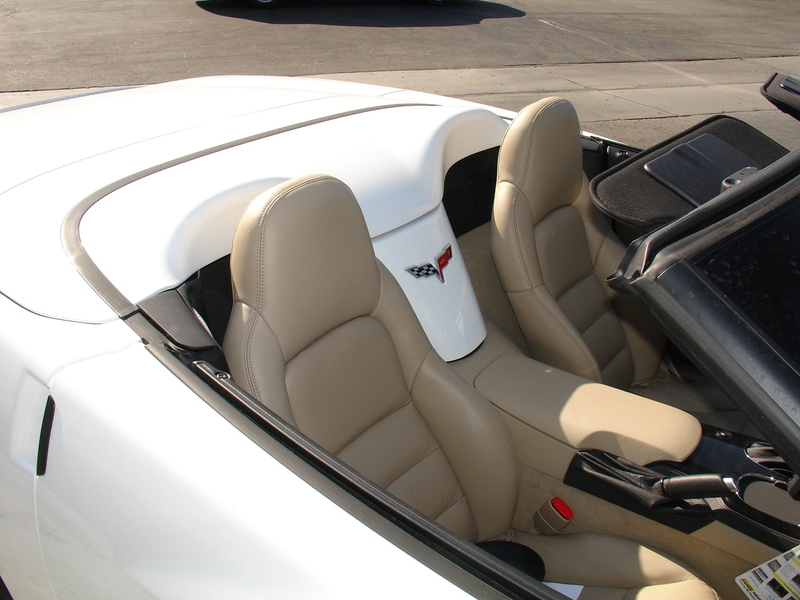 The interior of the Corvette is one area that needs improvement. On the positive side, I was immediately intrigued by a pleasant, although out-of-the-ordinary, smell inside the car. No, it was neither that ‘new car’ smell, nor the nice leather smell. It was different. I pondered about it for a bit, and then it came to me: it smelled like a boat. Those fast powerboats made of fiberglass. Given the body is made of composite materials, that made sense. 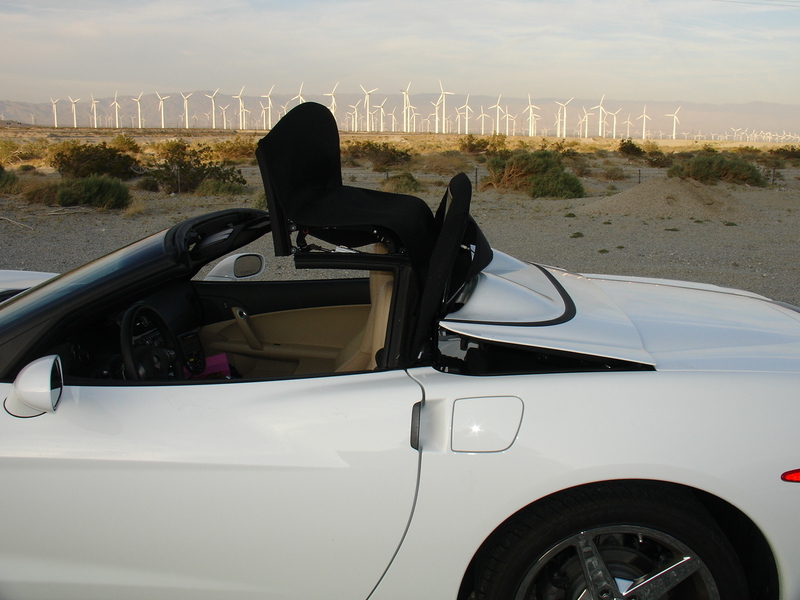 There is a large center panel between the two seats with the Corvette badge affixed on it, and where the convertible roof hatch latches into. Perhaps that’s where the smell was emanating from inside the car. The dashboard instrument cluster is well laid out. 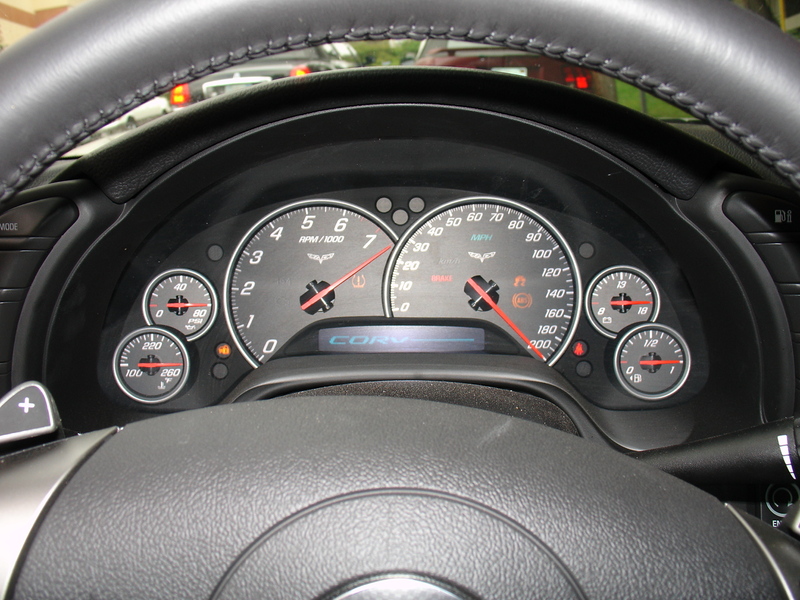 All the gauges are placed where they should be and nicely visible when looking through the steering wheel. A really cool feature of the instrument cluster is when you start the engine, the gauge indicators go all the way to the end and then gently come back. I don’t know why it does that, but it looks really cool. 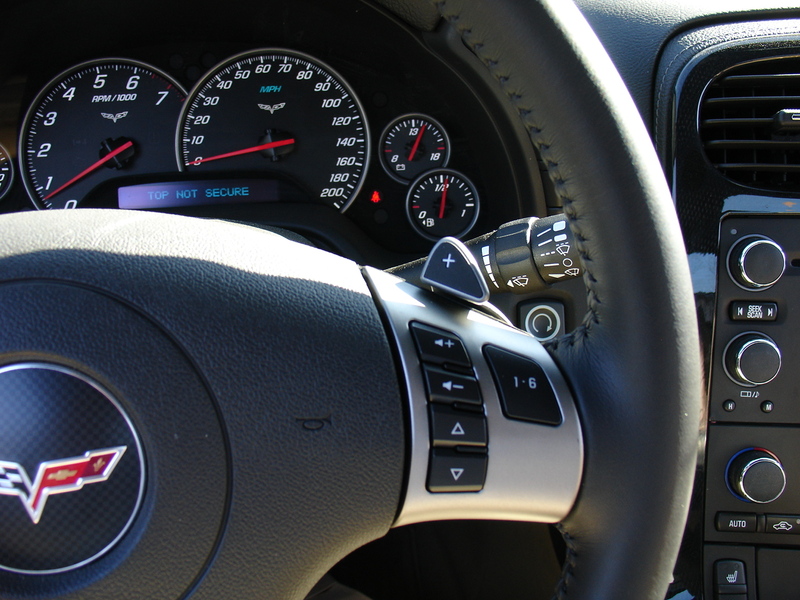 The instrument cluster includes what Corvette calls a “Driver Information Center” (DIC) which is a digital indicator at the bottom that displays readouts for various messages, for example trip mileage, tire pressures, remaining oil life, warnings and so on. Warning messages come in handy: that’s how I knew I forgot to close the convertible roof latch when the display indicator said “Top Not Secure”. 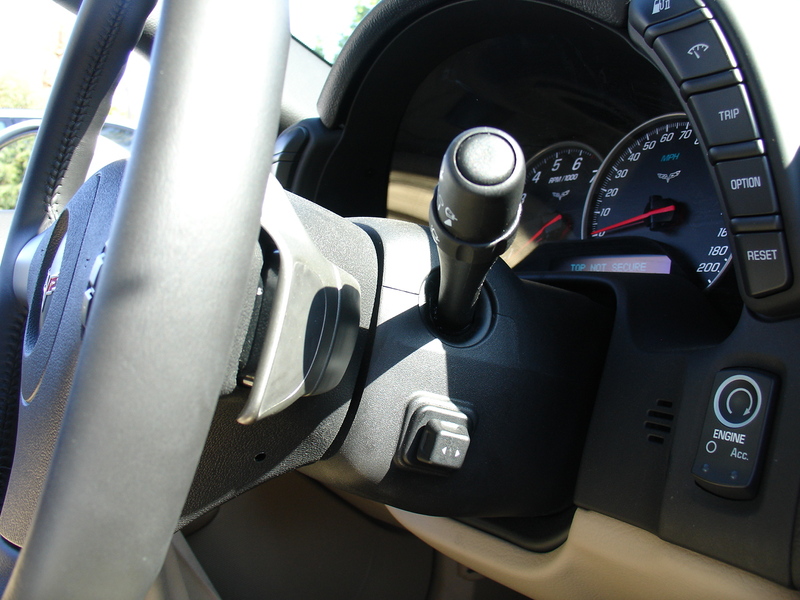 On the down side, the interior buttons, including the keyless ignition button, convertible roof switch, radio and AC buttons, etc., all have a very cheap plastic feel to them. 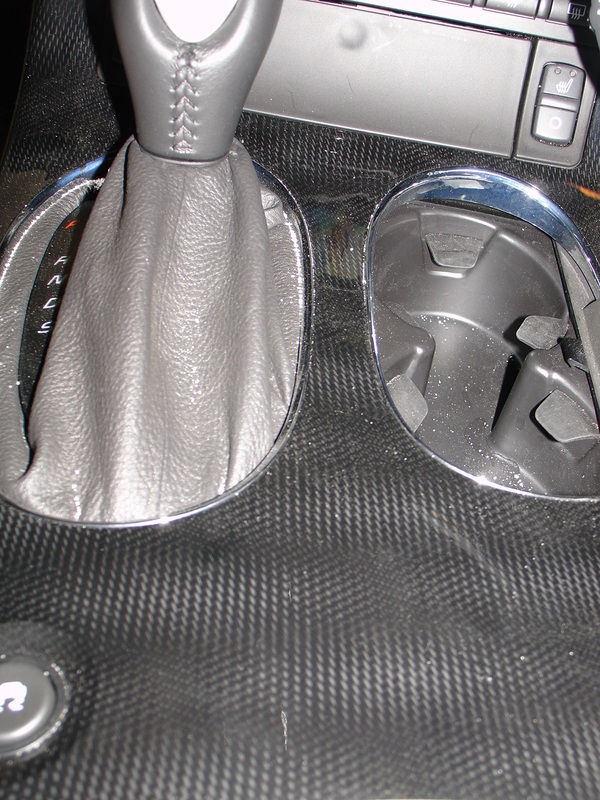 The center console has what appears to be a carbon fiber veneer, yet feels cheap and flimsy to the touch. For me, the layout and ergonomics of the radio buttons are awkward. 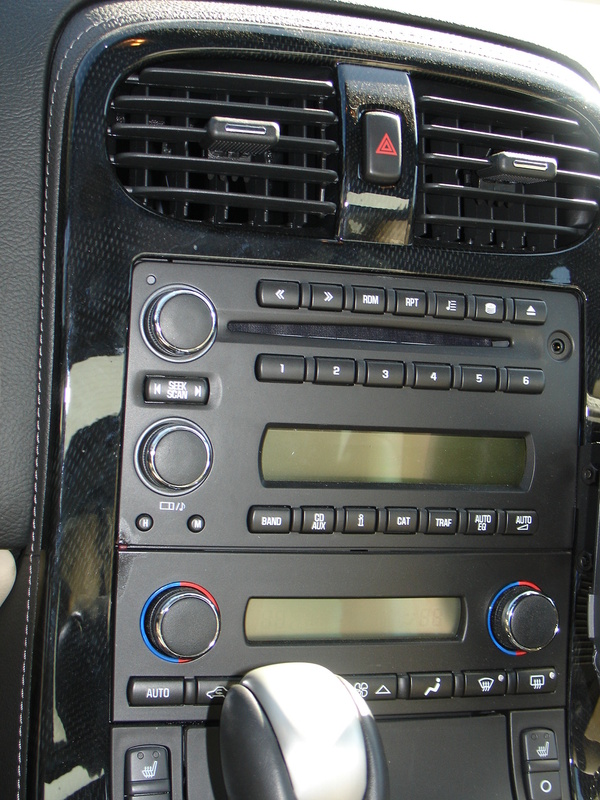 For example, the volume and tuning knobs are stacked on top of each other – even after two days of driving, I still changed channels when I intended to change volume and vice versa. And although the radio has integrated XM® Satellite Radio, the buttons are not always intuitive. For example, there is button that shows the XM® music category (news, sports, talk, etc). But I could not figure out how to select the desired category. Plus, the lack of numbers makes it hard to select XM® channels quickly and easily – I had to twist the knob several times or keep pressing the “seek” button for a while to go from, say, channel 20 to 180. The radio display is also narrow, only showing you 2 lines of display, which makes reading song titles and artists difficult. Also, the seats could have been nicer. Sure, the seats are leather and have automatic adjustment, lumber support and all that good stuff. But the seats themselves feel rather flimsy – not what you’d like to have in a car like this. Higher grade leather would definitely help, and perhaps slightly heavier frame to give the feeling of better quality seats overall. 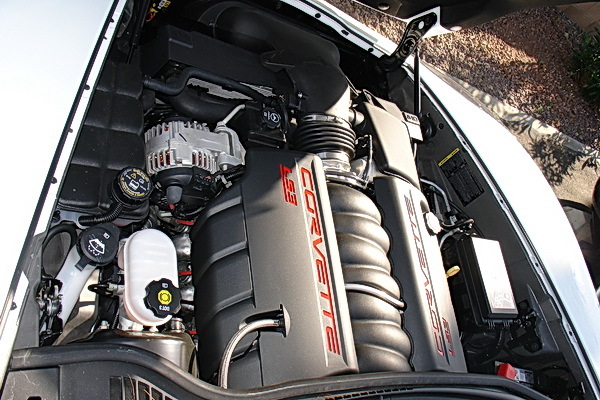 Looking at the manufacturer specifications, the engine is a 6.2 liter, V8 with 430 hp. Which is pretty big and impressive. So I wasn’t expecting great gas mileage out of it. Rather than read off manufacture stats, I typically prefer to rely on my own driving experience to get a better feel for gas mileage. 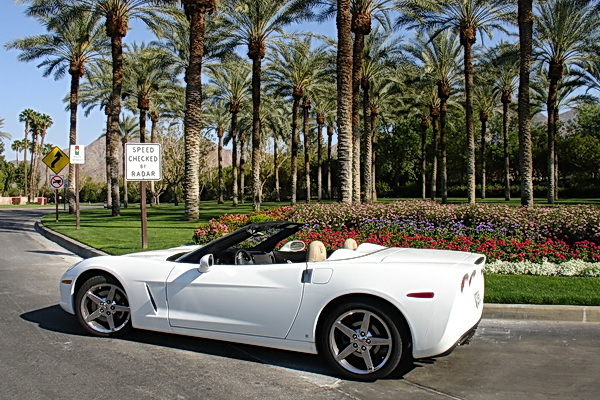 The entire L.A.-Palm Springs roundtrip, plus additional driving around town was approximately 300 miles, and used up almost the entire tank of gas. Refueling the tank to full took about 16 gallons. So with 300 miles (a mix of highway and city driving, although mostly highway), that works out to 18.75 MPG. Pretty good gas mileage for this type of car. I am converted. I now look at Corvettes in a totally new light (although the Three’s Company’s Larry image may prove harder to erase). The car is a delight to drive – it’s extremely powerful, yet has great handling. It comes with some really cool features like the HUD windshield display and the electronic door releases. If they enhanced the interior – higher quality materials, better ergonomics – it would make this car even greater. At a starting price of around $60,000 for the convertible version, this is clearly not your ordinary every day car. But with all that you get for that price, it can be a very serious competitor to other exciting cars in its category.